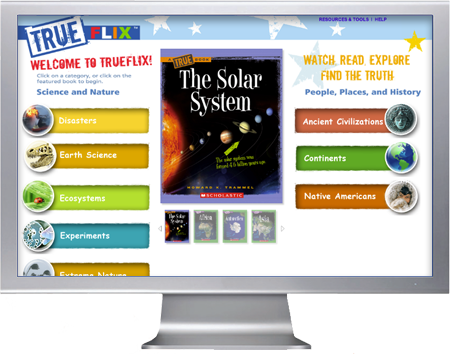 TrueFlix is an online, 100% nonfiction literacy resource that leverages Scholastic’s award-winning True Book series with related video content. 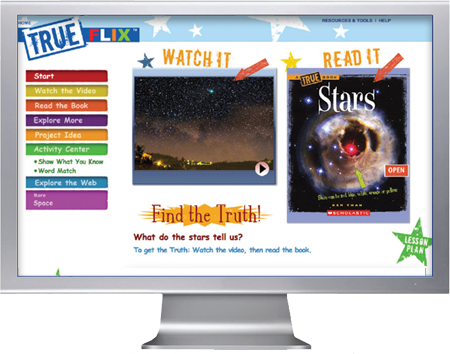 Students build knowledge of subject-area content through paired videos and ebooks while sharpening important literacy skills. 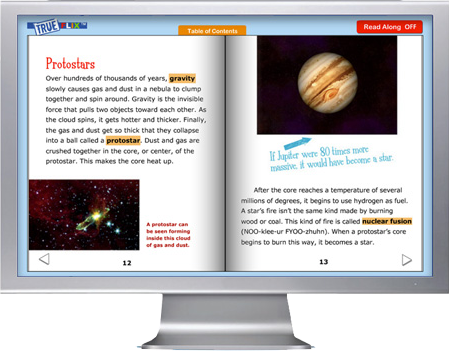 videos to build background knowledge before students read the accompanying ebook. An accompanying ebook provides a detailed overview of the topic to deepen understanding and spark further interest. 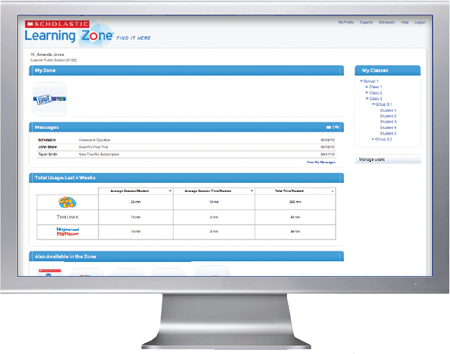 Every topic includes student activities to extend instruction, soft assessments, and resources that support a variety of implementations. 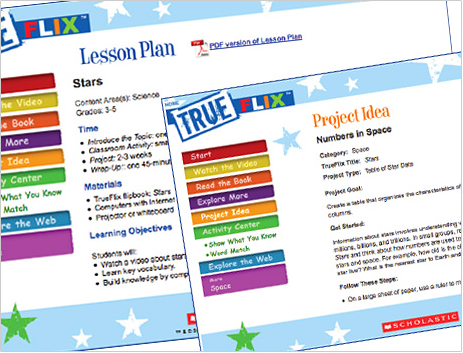 Find TrueFlix in Scholastic Learning Zone, Scholastic's new web-based platform that provides educators and students with one-stop access to an ever expanding portfolio of digital education resources. Watch a short video to see it in action! Selection of book/video pairs in TrueFlix!